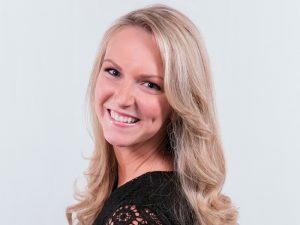 Taylor Shelnutt is currently making her mark in the public relations field at FleishmanHillard in Dallas, Texas. As a senior account executive, Shelnutt operates in a traditional public relations role, primarily working with media and influencer relationships. While at The University of Alabama, Shelnutt met the leadership team at FleishmanHillard prior to graduating and fell in love with the company culture. Since then, Shelnutt has worked with various partners and accounts, which have laid a strong foundation for her career in public relations. As an undergraduate student, Shelnutt majored in public relations and was on the executive board of the Public Relations Student Society of America. She also served as the firm director of Capstone Agency. Shelnutt believes her active participation and the relationships she cultivated with professors while at UA greatly contributed to her success. Having instructors like Teri Henley and Tracy Sims as mentors made Shelnutt’s undergraduate career less stressful, and she said if she could redo her time at UA she would spend more time enjoying the experience and less time worrying. Although she still had a lot to learn after graduating, Shelnutt said UA and the Department of Advertising and Public Relations provided her with the necessary foundation to grow and excel in her career. In the future, Shelnutt aspires to continue learning, mentoring and pursuing opportunities in her field of work— all while having fun.